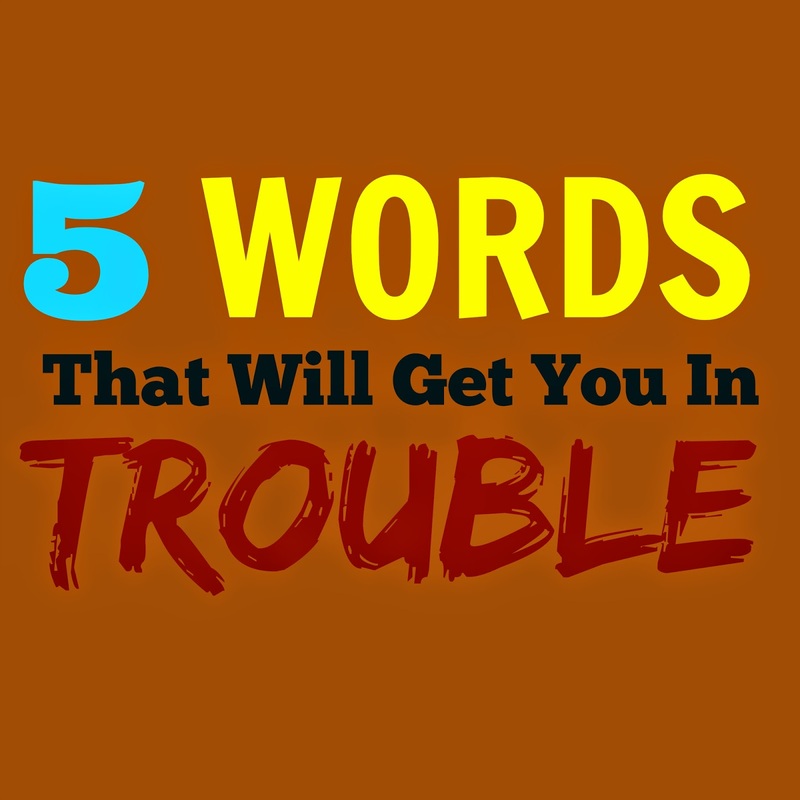 There are five words that, when put together, will open the door to trouble in your life and mine. We see the celebrity who gets busted for drug possession, the football player who squandered millions and goes broke, the pastor who commits adultery, the politician mired in scandal and we swear that we will never make those mistakes. In our outrage, we forget that we are just as human as they are. They are tempted just like us. They have weaknesses. They have fears. They have doubts. They bleed. They hurt the same way we do. It just so happens that their blunders are front-page headlines instead of Facebook-spread gossip. How we respond to the mishaps, failures and sins of others says a lot about who we are. Shamefully, I admit that there have been a number of times when my first response was “I would never do that.” I would think I was a stronger man and a better person because I didn’t make that mistake. I didn’t commit that sin. That’s pride, callousness and hypocrisy on full display. Don’t hear me wrong, I’m not minimizing the ramifications of their actions. Their moral failures affect many people, not the least of which is their own families. Sin always causes collateral damage. They know it. And they will feel the consequences of the decisions they made -- just like we do. It’s disappointing and upsetting to see people we look up to for leadership fail. In the end, however, God’s grace is available to them -- just like it is for you and me (and thank God that it is). I pray that they would seek to turn from whatever actions they might be and seek God’s forgiveness and the forgiveness of those they hurt. When we decide to point fingers without reflecting on our own humanity and weaknesses, we can easily become blinded by arrogance and susceptible to fall in the face of temptation in our own lives. Instead, we should take time to inspect our own lives and find our own blind spots -- and take preventative measures to avoid making colossal mistakes in our own lives. What do you struggle with? Where are your weaknesses? For me, I’ve battled with my temper and my anger for as long as I could remember. My anger has caused me to say things that I still regret to this day and do things that I am not proud of. It wasn’t until I admitted my issues to God, myself and the people I trusted the most that I was able to confront it head on. The longer we pretend we’re strong enough to overcome our weaknesses on our own or try to hide them in a dark corner hoping no one sees them, the greater the chances become of making some big mistakes. It’s time to get real. Many people ask “How close can I get to the sin without actually sinning?” That’s as dumb as driving a Ferrari a hundred miles per hour straight towards a cliff wondering when the last possible moment is to pump the brakes before plunging towards a grisly death. Don’t flirt with temptation. Do not compromise. You will lose. Every single time. Set boundaries far, far away from the cliff. We are facing an enemy who is crafty, slick and resourceful. He will set out bait, specifically tailored for you, and will cast it out hoping you sink your teeth in -- only to feel the sharp pain of the hook if you’re not paying attention. Always be aware of what’s happening in your life and around you. And don’t put yourself in vulnerable positions by abiding by the H.A.L.T principle. Do not make any big decisions -- our put yourself in places where you know you’ll be tempted -- when you are hungry, angry, lonely or tired. It’s a recipe for disaster. When predators hunt, you won’t see them go after the herd; they will single out the loner and then go for the kill. If you think you can fight off a fierce predator by yourself, good luck. Instead, find a few people -- maybe even just one person -- to keep you accountable. Someone who knows everything and will keep you in check. These people -- a family member, close friend, mentor or pastor -- will serve as the voice of reason in your life. There is power in numbers, so get plugged in to a group or community that will help you move in the right direction. We should always seek to live lives according to God’s Word. We should always seek to honor God and others with our actions, our words and our thoughts. But we will fail. We all fall. There is no way around it. But humbly acknowledging our weaknesses, setting boundaries, being alert and finding people that will hold us accountable helps steer us far away from decisions that will destroy our credibility, diminish our influence and hurt ourselves and those around us.